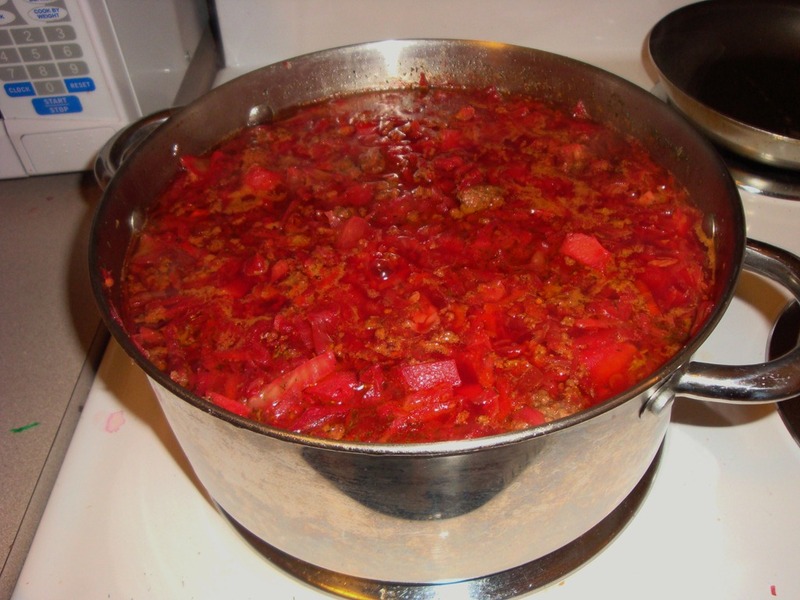 After going to the dentist the other day I had an intense craving for borscht. Not too sure why. So I phoned my mom to request her recipe, which turns out to be her mother’s recipe! Yea Grandma! 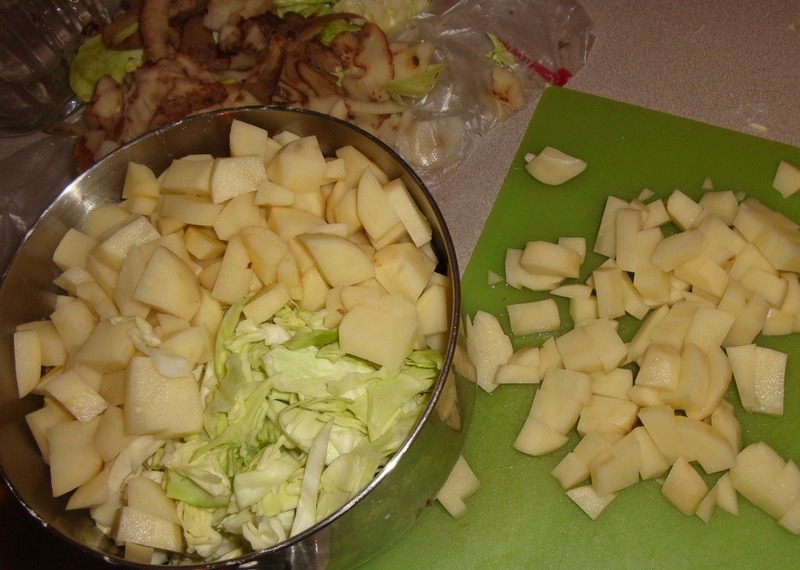 Even though I don’t really like to cook, I am able to when the need arises and when I put my mind to it, can produce some pretty yum-tastic chow! After picking up the ingredients at the grocery store I was ready to get started. 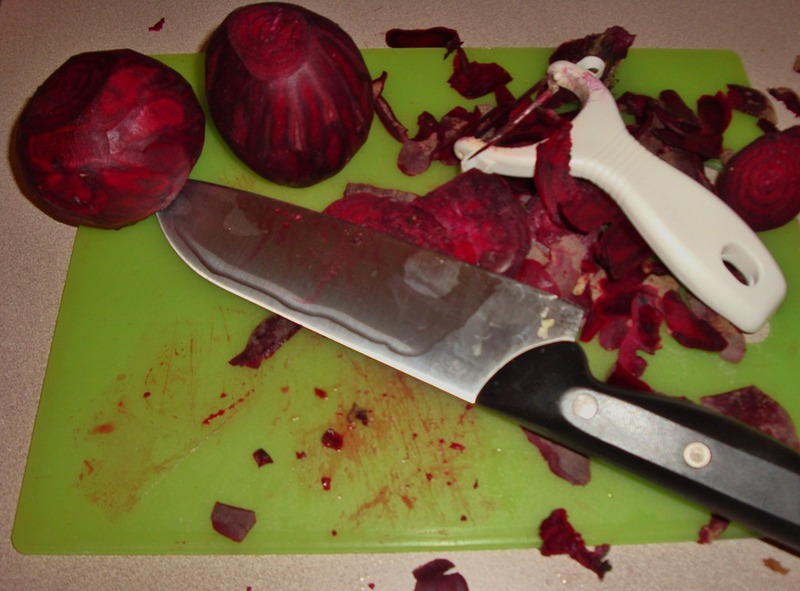 Chopping and shredding the veggies is probably the most time consuming task in the preparation for borscht. 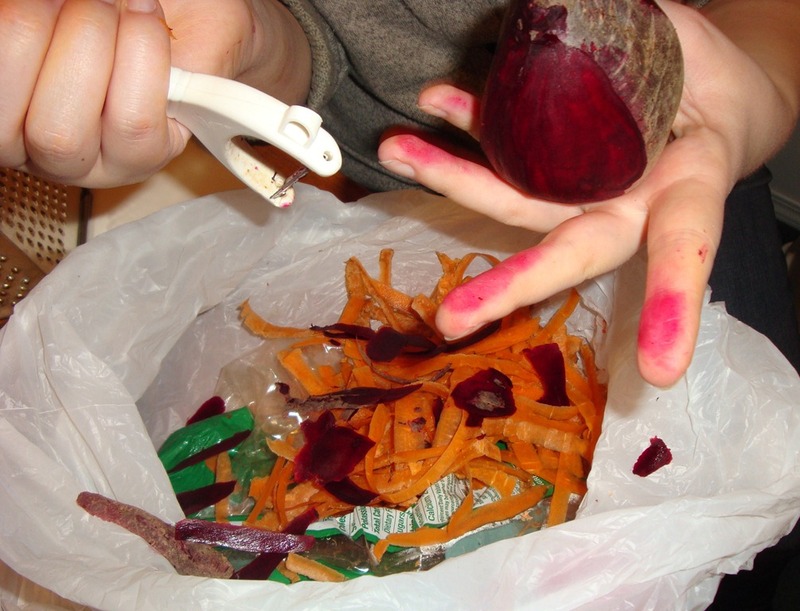 I asked Kiah to lend a hand with the shredding of the carrots and beets and she so kindly agreed. 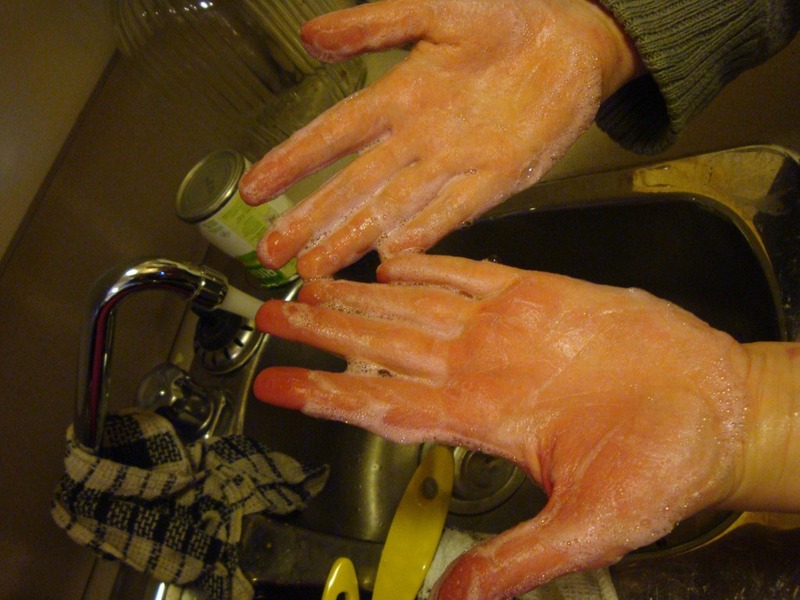 Even though her hands did get a little stained it all washed out in the end. 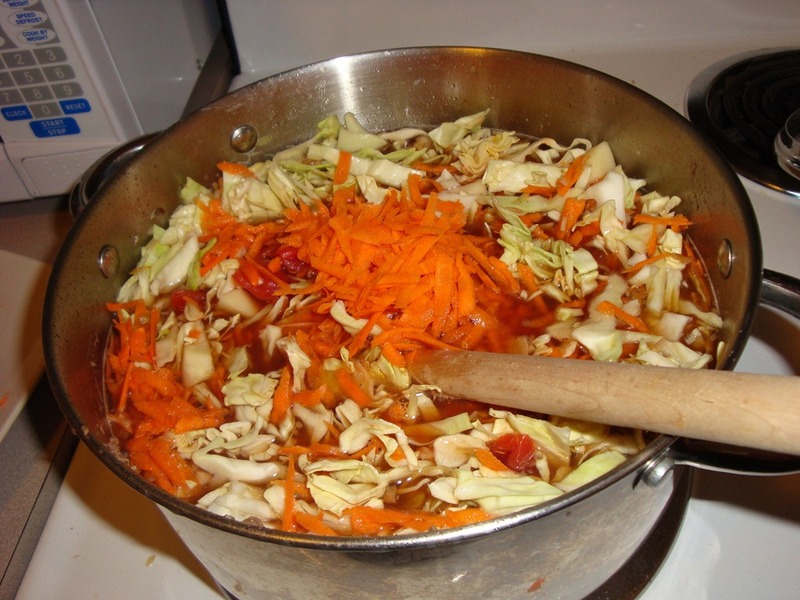 Well almost all…..
After adding the veggies I was worried it might not all fit. 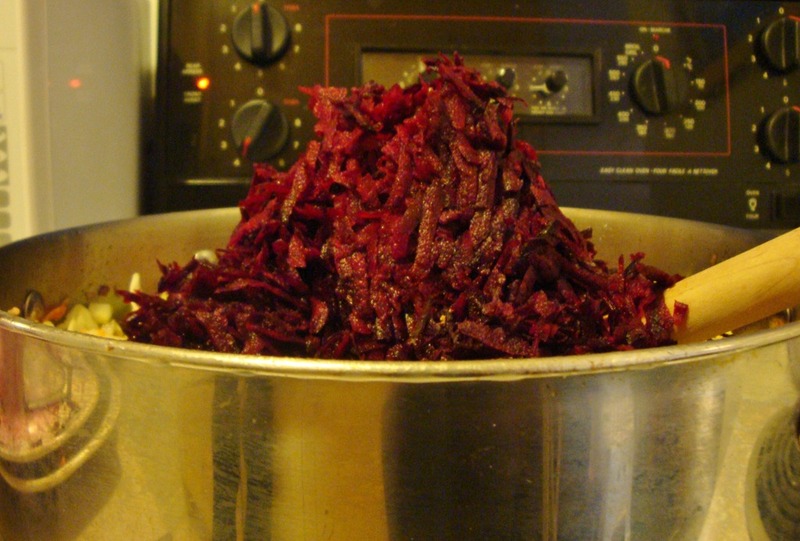 This was the biggest pot we own and I still had to add the beets and ground beef! It all fit, no prob. The waiting was excruciating. The smell was so amazing. It might have been the longest hour and half wait of my life! Ha ha. At least we had the Jersey Shore finale to keep us distracted. Finally our hard work and waiting paid off. Ta da! It was so good I ate 2 1/2 bowls! yum yum yum. 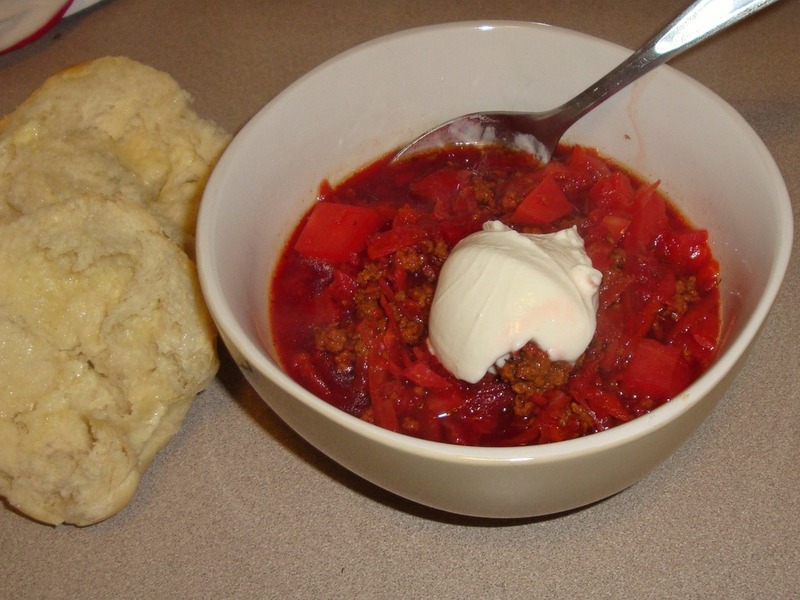 Here is grandma’s recipe since I don’t use one and hers is always yummy! 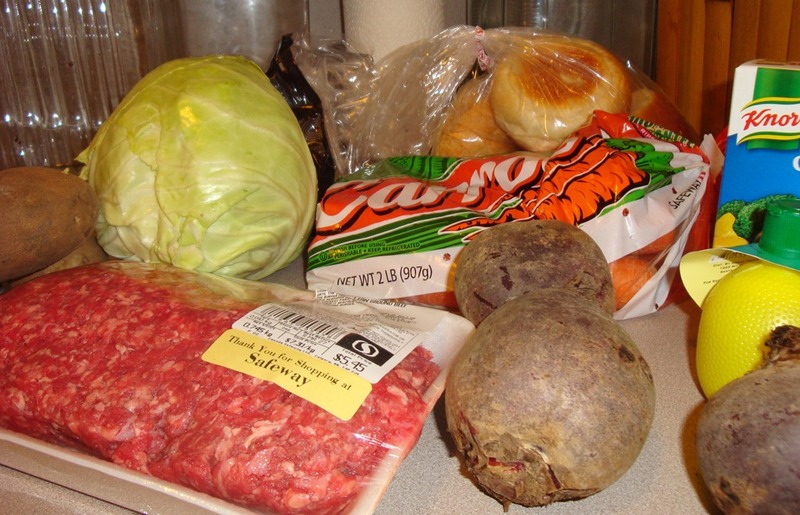 Meatballs: 1 1/2 to 2 lbs hamburger, add an egg, breadcrumbs or crushed crackers and any seasonings to taste. Brown the meatballs in oil and 2 or 3 crushed garlic cloves. Set aside. After you’ve cooked your meatballs and set aside, mix together everything but the seasonings and simmer for 1 hour. Then add the meatballs and the seasonings (keep tasting it) and simmer for 30 more minutes and then it’s done! I obviously didn’t do the meatballs, maybe next time. When using this recipe invite over a friend or 10 to share with! It makes a ton. Or just freeze leftovers for later, like I did.